The Thunderhead Submersible Lumbar Pack is fully waterproof and designed for the wettest conditions and deepest wades. Constructed with 1680D TPU coated nylon with waterproof TIZIP zippers on the main compartment, this is one sturdy and dependable fully waterproof lumbar pack. 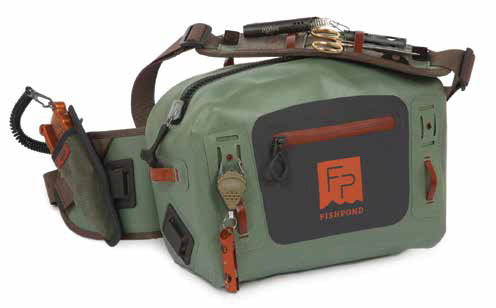 Designed for the deep waders and the anglers who disregard the forecast, the Thunderhead Lumbar Pack allows you a simple way to organize your gear in a safe and dry way. The clean layout of this pack makes organization and storage easy. The interior pocket has a zippered pocket and a clear stash pocket for small gear. 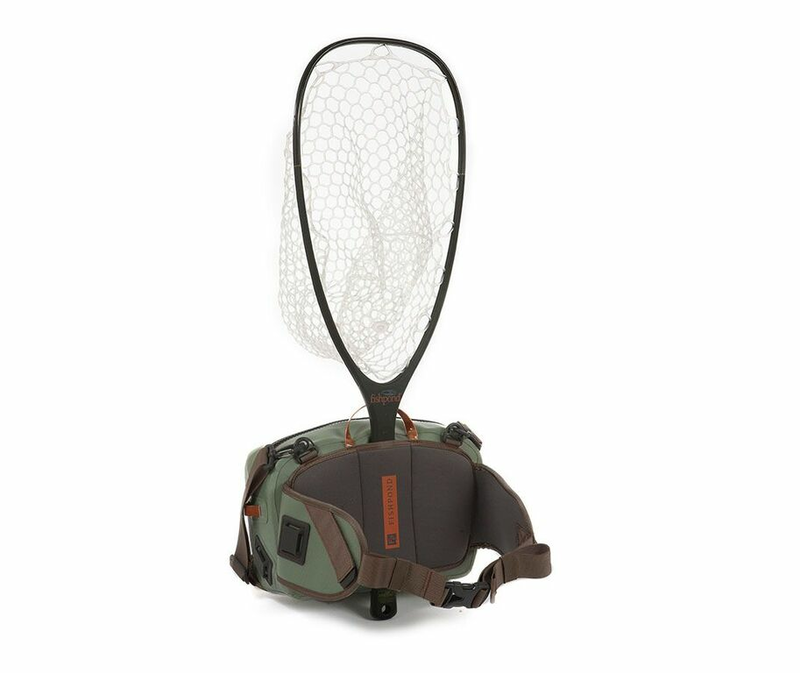 There is an integrated net slot as well as hypalon tabs and cord loops for accessory attachment. This pack has padding in all of the right places for all day comfort. 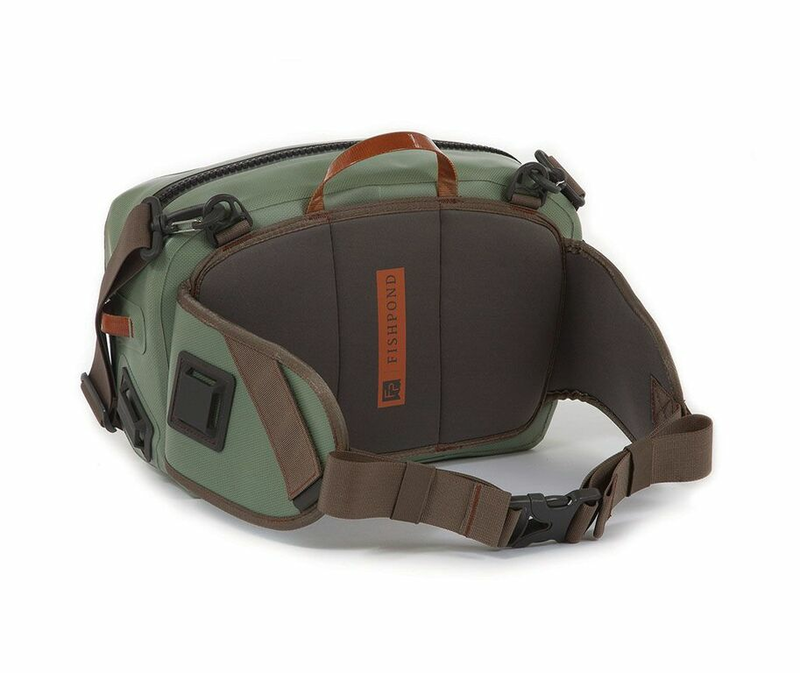 There is a lightweight foam back panel and the shoulder strap is adjustable as well as padded for increased comfort. There are also tool and accessory attachment points on this strap. Great for use in both freshwater and saltwater. 10 Liters. 1.65 LBS. 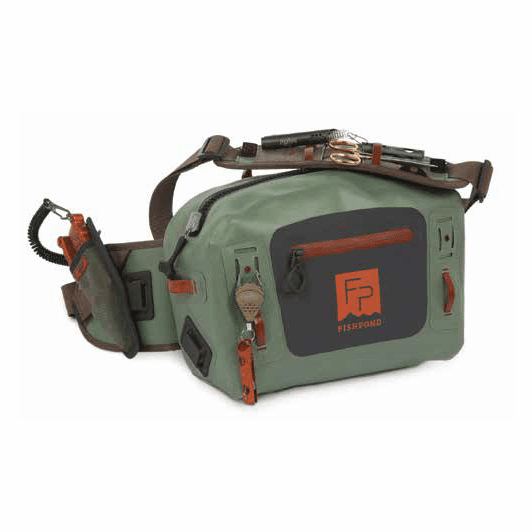 13.5" x 9" x 5"
Fishpond Thunderhead Submersable Lumbar from Fishpond USA on Vimeo.